You work hard to earn an income. Wasting that money is the last thing you want to do. If you have bad credit, however, wasting money is inevitable. Bad credit is incredibly expensive and the cost of bad credit is compounded the longer your credit remains in poor shape. Believe it or not, bad credit could cost you hundreds of thousands of extra dollars in interest over the course of your lifetime. Yet higher interest rates are not the only way that bad credit can cost you. Here is a breakdown of all the money you could be losing if you sit back and do not do anything to improve your credit situation. The most obvious place where bad credit can cost you is in the form of the interest rates which you are charged. Yet for many people, interest rates are only an abstract concept. The difference of a few extra points in interest might not seem like much on the surface, but that difference could actually add up to be a very sizable amount over the life of a loan. Here are a few examples to illustrate just how much higher interest rates could cost. As you can see above, with bad credit you might pay an extra $292 per month on this hypothetical mortgage loan. That adds up to an extra $3,504 per year and an extra $105,151 in interest paid over the life of the loan! While not quite as disturbing as the mortgage example, you still stand to lose a sizable amount of money on your auto loan if your credit is damaged. In the example above your loan payment would be an extra $205 per month. That adds up to an extra $2,460 per year and an extra $12,222 in interest paid over the life of the loan! Bad credit can cost you in unexpected ways as well. Did you know that the condition of your credit could have an impact upon your home and auto insurance premiums? Your credit could actually be more influential over the cost of your auto insurance than your driving record. Higher insurance premiums can be costly. In the state of Texas, having bad credit could result in nearly $150 more per month for auto insurance premiums ($1,759 extra per year). Bad credit can cost you in so many ways that it would be virtually impossible to list them all in a single article. Without good credit it can be difficult to secure housing or transportation for your family. Credit problems can cost you job opportunities. 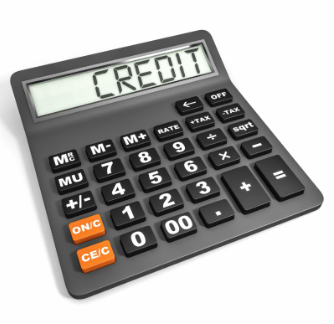 Bad credit can lead to higher deposits for utilities and mobile phones. These are just a few examples. The list truthfully goes on and on. The good news is that bad credit does not have to be a life sentence. Not only can bad credit be improved, but the payoff for improving your credit could be huge. Working to improve your credit isn’t always easy and you can’t turn bad credit into good credit overnight, but it is worth the effort. CLICK HERE or call 217-856-0068 to schedule your no-obligation credit analysis with Financial Renovation Solutions today.